PLEASE NOTE: THIS IS THE SAME DAY AS THE LEGO BOOK RELEASE EVENT We actually had more members sign up for the Lego book release than we had positions open, so maybe some of you can switch to this event since the Lego book release only wants ONE Rebel Legion character per location? Also note - if the 501st fails to get volunteers for a particular location then there is a chance the location's event may be called off. EVENT TIME: 10:00AM - NOON On site arrival time before store opening at 9:00am They would prefer for us to arrive in street clothes and change in their back room. (I believe this is because the kids are often lined up outside and they don't want to ruin the surprise for the kids or have them start asking us for photos). Please enter at the front door. WHAT WE ARE DOING: Photo ops, and autographs for the kids. COSTUMES DESIRED: Formal movie costumes. One Generic Jedi, one trooper or Pilot type character (X-wing Pilot, Rebel Fleet trooper, Endor Trooper - etc). No face characters, if you have a Generic costume please sign up with that. They will only take face characters in rare cases as a last resort. The individual will have to be approved by Legion Command as well has have a fairly strong likeness to the character they portray. DONATION TO CHARITY: A singular donation on behalf of the Rebel Legion and 501st will be made on the national level for all events. RSVP DEADLINE: We need to have volunteer names in to Legion Command by the evening of September 10th. If we don't have volunteers by this time the event will be canceled. AMENITIES: A private changing area, water, and a secure location to store belongings will be provided. PHOTOGRAPHER: We've been told: "Please no photographers selling shots to our customers – a photographer/handler to record the event for you guys is just fine." We were never 'selling' photos, but perhaps it was misinterpreted to be this way (all our photos are free to dowload). So I suppose unless someone asks you where the photos will be, please don't offer to hand out business cards (but keep a few handy in case a desperate parent asks). Trading Cards: If you have Rebel Legion costume trading cards we have been given the OK to give these to kids at the store. Team Leader for both groups is David Chin from the Golden Gate Garrison. I'll be taking care of tracking volunteers for Kathy while she is out of town over the long weekend, and since I can't edit her post above, I will track the sign-ups in this post. Kathy will update the info into the first post when her schedule allows. I'm currently listed as back-up for the Lego Event (for either San Mateo or Santa Clara). I consider that my primary obligation... but having said that, if we confirm that the volunteers ahead of me on those lists will cover the event, then I will volunteer for this one at the Palo Alto location in my generic Jedi costume. I'll be at walnut creek as xwing pilot! There's no Corte Madera location for this year? Tom, since PB is promoting their Empire Strikes Back line, you sure you don't want to wear your Bespin/Dagobah Luke instead? 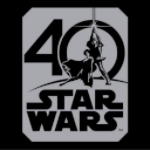 Depending on the time of the Lego event, and whether I'll be accepted for it, I can put myself down for this (either location), as Luke or Anakin, again if I'm accepted. I can bring my Yoda statue if they wish and SW music CD's for them to play, like I did last year as well. As for your Anakin costume Matt, they first want Generic Jedi (not "Anakin" as he is a face character). Did you wear full Anakin Ep II attire last time, or modify it to be a bit more generic? I think Ep III is more of a stretch because of the glove that is so associated specifically with Anakin - so if no generic Jedi are available then I'd say your Ep II "Anakin" (they don't need to know you are Anakin, just say you are a Jedi) could work for PBK. 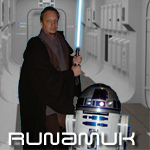 I could be generic jedi then (SWW version ) or photographer. What's a SWW generic Jedi? Star Wars Weekends generic Jedi. OK, we need to get this list finalized an in to Legion Command tomorrow. I've looked at the sign-ups for the Lego event and there are definitely spots that can be given up for that event to swing over to this event. The one I'm confused on is JedHead. Are you signed up for anything through the GGG for Lego? I didn't see you on the Lego list for Rebel Legion. Basically, I need to know your event preference since we don't know the time of the events. Do you feel OK potentially dropping out of the Lego event to do Pottery Barn? Then we'll put you as confirmed on Pottery Barn as Generic Jedi/Anakin Ep II. Kay-Dee - X-wing back up if Roberto isn't approved. If Roberto is approved I'll do a PBK location. On GGG's list, I got confirmed as doing the Lego event in SF as TIE Pilot, even though I signed up as either TI or SL (Anakin). It looks like Roberto got approved for his SL for San Mateo. The time was listed as 2-4 pm. I can still do both events (PB in costume or not). If that's the case, I can do the Pottery Barn in Palo Alto, then Lego in SF, since the commute would be easier for me. Oh gosh, let me look at these lists again. The rest of us need reasonable commutes too. OK I am finally getting caught up on all of this....whew, what moving and a week without internet can do to ya. You can count me in for the Walnut Creek Event. Matt, if you really want to drive out here that's cool, but I am totally up for it as Generic Jedi. I am sure Jessica can show up to take pictures too.